The truth is that facial recognition and detection software is popping up everywhere. And this can be a really great thing. Let’s say someone is trying to steal your identity or use photos of you under a different name online. With facial recognition technology, ideally, you could search the whole of the internet to see where each and every photo of your face is posted. And apart from our lives on social media, facial recognition software can also offer protection from and prevention of other threats. From using facial recognition in smart security cameras to its uses in digital medical applications, facial recognition software might help us in creating a safer, healthier future. We can see the advances of facial recognition technology on Facebook in the U.S.A. Facebook just recently launched its facial recognition feature called the Photo Review which alerts users every time a photo with their face is posted. This makes it even easier to tag yourself in new photos, keep an eye on unflattering photos without tagging yourself or to reach out to your friend to remind them that they promised not to post it. In Russia, VK.com has launched their own version of Photo Review called FindFace. For those of you unfamiliar with VK.com, it is basically the Russian version of Facebook. FindFace takes it a bit further than Photo Review and does exactly as its name implies, it finds faces. If you want to find someone on VK.com but only have a photo of them, you can simply log in and search with a jpeg or png photo, as long as it is under 5 Mb. Google has also stepped into the ring. Piggybacking on their reverse image search functionality, Google allows you to search for a specific face on images from all over the web. So maybe you have a picture of a celebrity in mind but you can’t find it. With this new Google facial recognition feature, you can upload any photo of the celebrity and search through other similar photos that have their face in it. When it comes to facial recognition software and its uses, finding photos is not all such technology has to offer. What if you could use facial recognition software to protect your designs and assets? Well, that is exactly what PicWiser has set out to do. Primarily marketed as a tool for designers and photographers, PicWiser works like a google reverse image search but specializes in infringement. It collects information on any instances your design or photo appears in a search and reports it back to you. Taking facial recognition a step further, Google has now used its software to enable grouping photos by faces. Not only that, but they have introduced pet recognition so you can easily peruse photos of your dog or cat instead of having to scroll through all of your photo gallery. You can also search terms like, “Dog” and photos of any dogs you have in your phone will appear. For pet lovers like me, this really is a great feature. Let’s face it, if you have a pet, over half of your photos are just of them sleeping. But you often want to find a specific one to prove to your coworkers just how cute they really are. Now that task is much simpler. Speaking of animals in photos, have you checked the latest snapchat filters? Of course you have! Being the tech-savvy person you are, you probably know that Snapchat uses facial recognition software. But did you know that it actually takes three separate but instantaneous processes for you to get that realistic goth makeup look or Santa hat balanced just so? First, the program runs its facial detection to find the boundaries of your face and sets a grid. Next, it looks for facial landmarks. That’s your nose, your eyes, etc. Then it processes the whole image and applies algorithms based on thousands of other faces to map out your unique face. That all happens within a second just before the filter is applied to distort your face. There are also more altruistic uses for facial recognition software. Face2Gene is a healthcare app which uses facial recognition technology to help detect certain genetic disorders or syndromes from photos of patients. The software is able to detect certain phenotypes that shed light on potentials causes of certain facial and non-facial features the patient has. Using facial recognition technology in the healthcare field is an incredibly innovative idea, one on which I could write another lengthy blog about. But I really do hope that people begin to invest in such technology because I believe its uses in healthcare are endless. And last but not least, making headway in automation, applications from Luxand FaceCrop SDK are using facial recognition software to predict the growth and appearance of children as they age, automating post-processing tasks such as skin tone adjustment and red-eye removal. You can also use your face to create 3D avatars for games and build an AR (augmented reality) application based on your real-time, real-life face transformations. 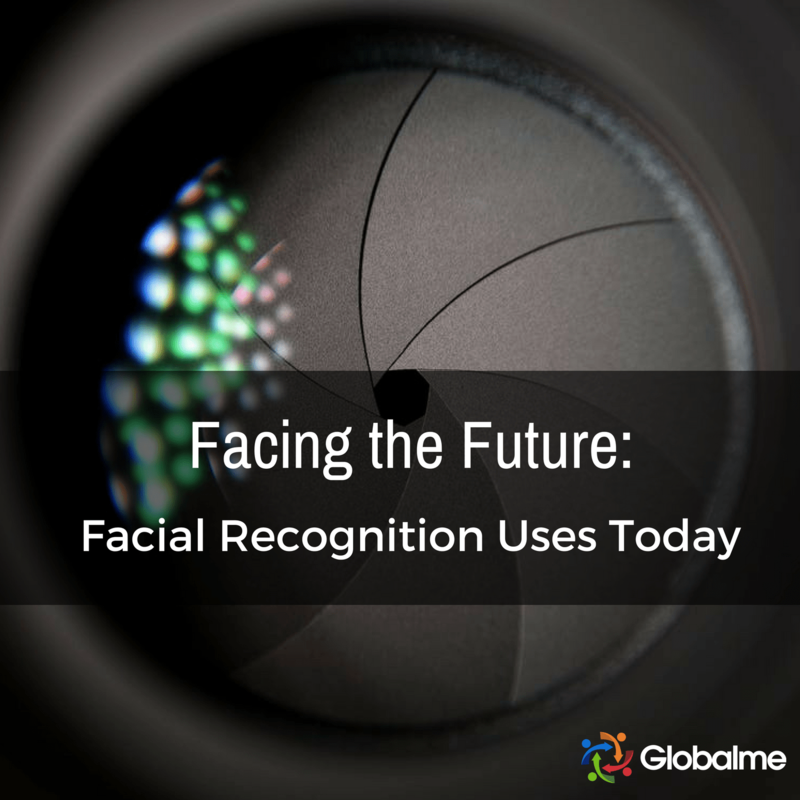 Facial recognition technology isn’t just for apps and social media. It can also be used for security. The people at Netatmo have created an indoor security camera with facial recognition technology that alerts you when people arrive in your home and identifies who they are. All you need to do is put it in your entryway, plug it in and set it up to your wifi. You can check the video feed on your phone from work or the grocery store to make sure your home is secure and your kids are safe. Netatmo is not the only home security system that incorporates facial recognition. Ooma’s home security system includes a smart-video camera with AI for both facial and audio recognition when a person comes into frame. It also features geofencing capabilities and sensors so you can automatically arm and disarm it with a customizable radius and it automatically calls 911 if the sensors detect smoke. Joining the ranks of video home security, Netgear’s Arlo offers HD video surveillance with two-way audio, instant alerts when sound and motion are detected, and is recorded to the cloud for free. The best part is you can check it on your phone, Apple TV, or laptop whenever you want. The system can sync up to 15 cameras so you can keep a careful eye on every room of the house. Honeywell is also now launching its new indoor and outdoor facial recognition security system and, partnering with Amazon’s Alexa, it comes with all the perks of having a smart home system. The system includes motion sensors, video recording and live streaming that you can check from a simple app on your smartphone. And for those of you who are ready for some serious security muscle, skip the guard and check out Nest Cam IQ Outdoor. Made to withstand harsh weather and tampering, the Nest Cam IQ watches over your property, 24/7. With the ability to detect a person from 50 feet away, you can get ahead of any unwanted guests. And when used in conjunction with Nest Aware, the camera can also recognize familiar faces and send alerts to your phone through their app. Nest Cam IQ has some pretty impressive features to help keep your family safe and to not miss any special moments. There is a lot happening in the world of facial recognition technology and with each development, 10 more new ideas spring out. With so much just on the horizon, it will be interesting to see where this rise in facial recognition technology takes us. Learn more about how face recognition technology works, or find out how we collect image and video data that is used to train the technology’s algorithm.